The "Egg Rock" may have been born in an asteroid's molten core. It’s easy to remain enthusiastic about forthcoming expeditions to Mars when we’re reminded of the fact that there’s still so much about the planet that we do not know. Discoveries like the one recently made by NASA’s Curiosity rover certainly demonstrate that fact. On October 30, NASA’s Mars rover Curiosity came across a golf-ball-sized object that looks like it doesn’t quite belong on the red planet. “The dark, smooth and lustrous aspect of this target, and its sort of spherical shape attracted the attention of some MSL scientists when we received the Mastcam images at the new location,” said team member Pierre-Yves Meslin. 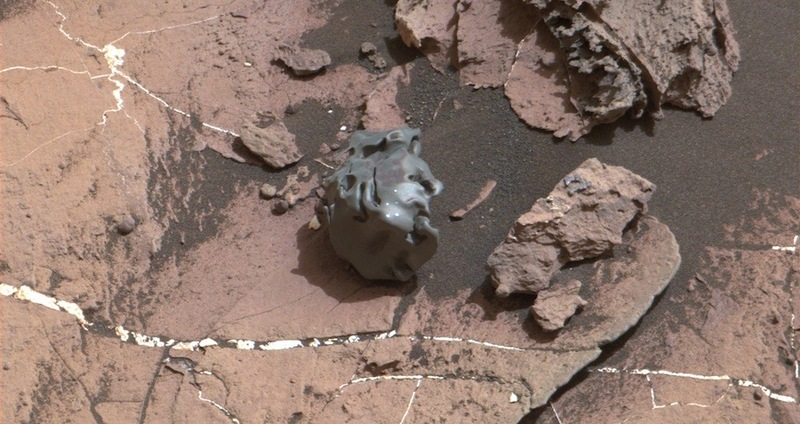 The dark gray ball — dubbed “Egg Rock” by the Curiosity team — has turned out to be a meteorite. 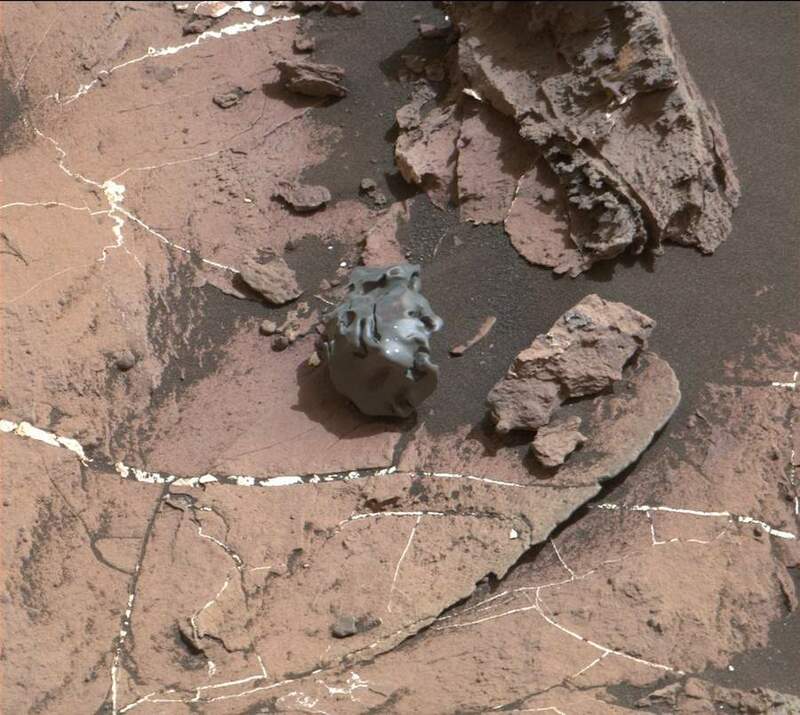 To determine this, Curiosity used its onboard rock-zapping laser called ChemCam, which can analyze a rock’s chemical composition. The ChemCam operates by firing laser pulses. When ChemCam strikes a rock with its millimeter-sized laser, electrons in elements start getting excited and emit light at varying wavelengths — meaning colors. By analyzing the colors, Curiosity can find any object’s chemical composition. Tests revealed that Egg Rock is not native to the red planet, and made up of iron, nickel, phosphorous, and a few other trace elements. These sorts of meteorites typically come from an asteroid’s molten core. Now, the Curiosity team is further analyzing the area where the Egg Rock was found (near the Murray formation in lower Mount Sharp) in order to learn more about how Mars’ environment changed over time. 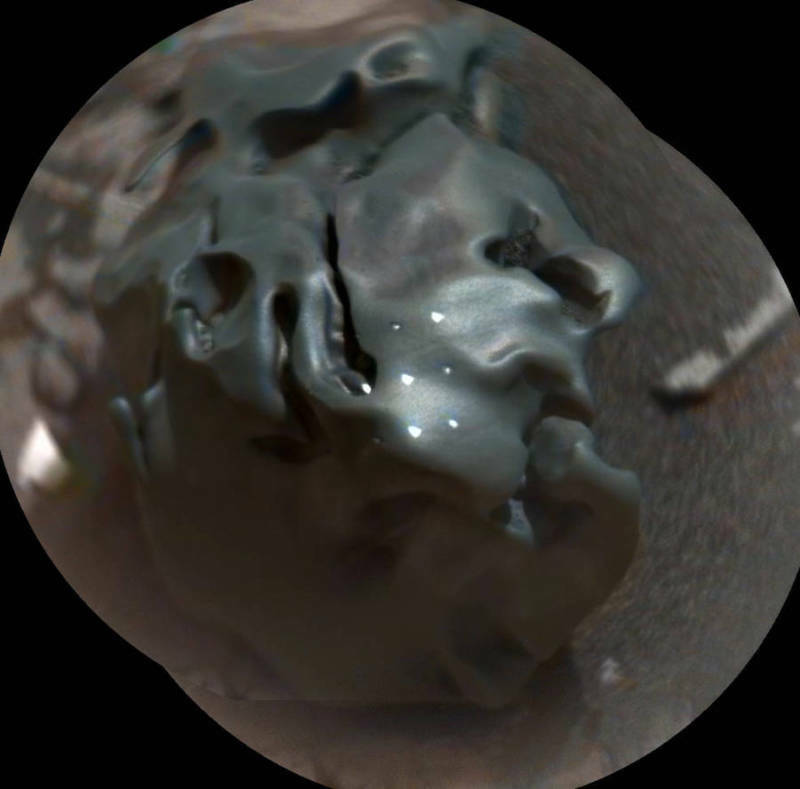 NASA/JPL-Caltech/LANL/CNES/IRAP/LPGNantes/CNRS/IAS/MSSSThe dark, golf-ball-sized object in this composite, colorized view from the ChemCam instrument on NASA’s Curiosity Mars rover is a nickel-iron meteorite, as confirmed by analysis using laser pulses from ChemCam. Next, learn about President Obama’s plan to send humans to Mars by 2030, before seeing what the first human homes on Mars may look like.